Josée Nadeau is a busy woman. A day in her life can be dizzying: a morning meeting with a client about commissioned pieces, an afternoon spent creating in her Park City studio, an evening promotional photo shoot for an upcoming live painting performance, and a subsequent early-morning flight across the country. Each day brings new opportunities for Nadeau to showcase her boundless talent and contagious effervescence. 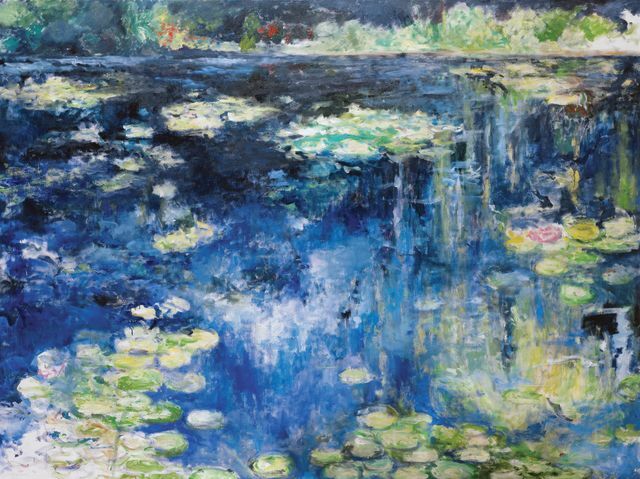 Born in Canada, Nadeau spent a decade living as an artist-in-residence in Giverny, France, with a studio in the late Claude Monet’s gardens. There, she painted as the protégée of esteemed French art expert Gerald Van der Kemp, the mastermind behind the renovation of Versailles and the savior of the famed Mona Lisa from Nazi destruction. With such beauty around her and such a master guiding her, paintings of water lilies and Parisian décor naturally followed suit for Nadeau. She was introduced to a life attending royal balls, film festivals, and fashion shows, and socializing with celebrities, which contributed to Nadeau’s experiences as an artist and as a personality. A day in her life can be dizzying: a morning meeting with a client about commissioned pieces, an afternoon spent creating in her Park City studio, and an evening photo shoot. Many of Nadeau’s paintings are found in interesting and prominent places. Her work is shown at the fine-art trade show Artexpo New York, and this past fall, several of her paintings were selected by Ralph Lauren to be featured in its East Hampton and Southampton store-window displays. 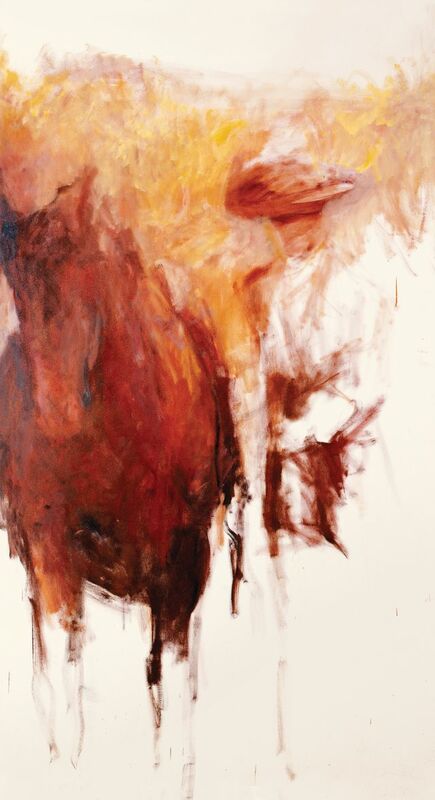 Jessica Macksey, senior director of creative presentation at Ralph Lauren, believes that Nadeau’s works were “perfect additions to our windows since western and equestrian themes are so strongly reflected in the Ralph Lauren brand.” Nadeau enjoyed her Ralph Lauren exhibit from the comfort of a Hamptons beach house, where she painted a commissioned work and entertained throughout August and September. 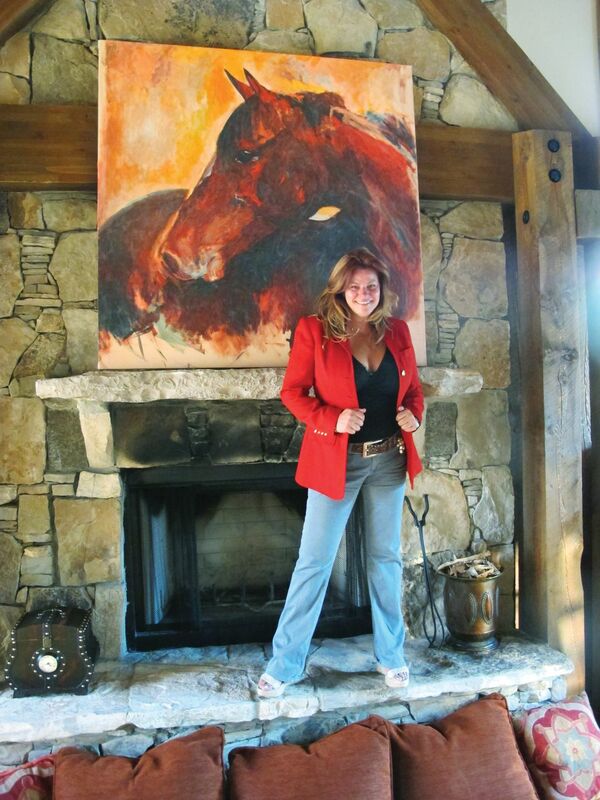 Her move west reignited a longtime affection for equine painting, a skill she’s been honing since she began drawing horses as a small child. Nadeau always enjoys her trips to New York and frequents the East Coast. She’s painted live in Manhattan several times, both on Broadway and at private functions. 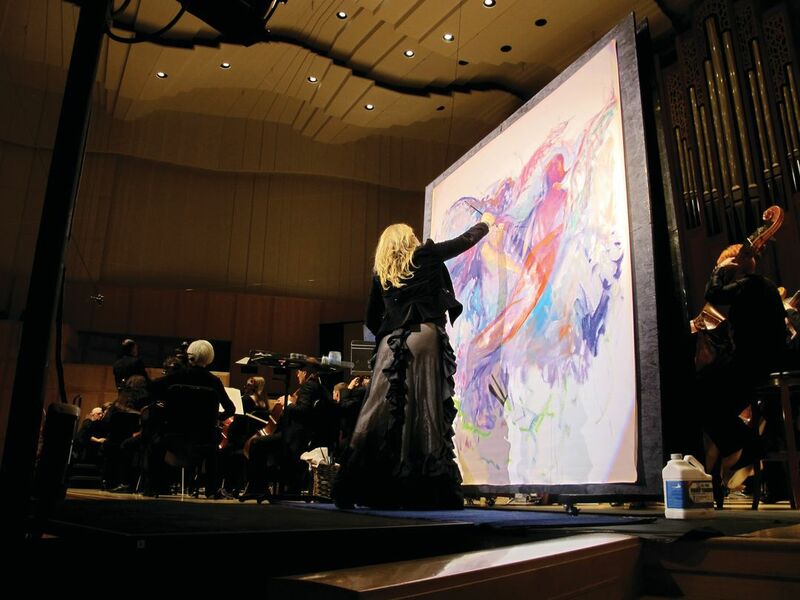 In fact, she was en route to the 2011 New York City Princess Ball to paint live for the princess of Serbia when she met an art expert who eventually became a client. Cheryl Gursky, the former chair of the Princeton University Art Museum Docent Association, recalls the first time she saw Nadeau. “I walked out my door and there she was, dressed to the nines,” she recalls. “She introduced herself, had her iPad with her, and within minutes she was showing me her work, which is simply eye candy—you just sit there and your mouth drops open.” Within days, Gursky commissioned a large painting for her pied-à-terre. Once Nadeau’s first piece was hung in August 2012, Gursky quickly requested a second. “It makes me happy to see a client enjoy my work either as a collectible or as an investment,” notes Nadeau.